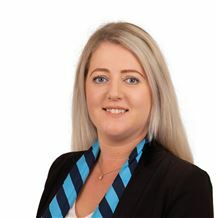 Kellie comes to us from Christchurch where she has been involved in the industry for the past year is also currently studying towards her Certificate in Residential Property Management. Prior to her career in property management, Kellie worked in insurance for 5 years. She has a very practical approach to property management and is not afraid to go the extra mile, she is committed to excellent customer service. Having recently moved up to Nelson with her family she is looking forward to settling in to the community, and getting to know you all.